With False President, Commie and Anti-Christ Obama preparing to preside over the official unveiling of the False Convert and Commie heretic— the evil Martin Luther King, Jr.’s Memorial, the last thing the administration needs is a controversy over the “Made in China” label for the 30-foot structure. But the shocking truth, known for many years, is beginning to be picked up by some media outlets as the special event approaches. 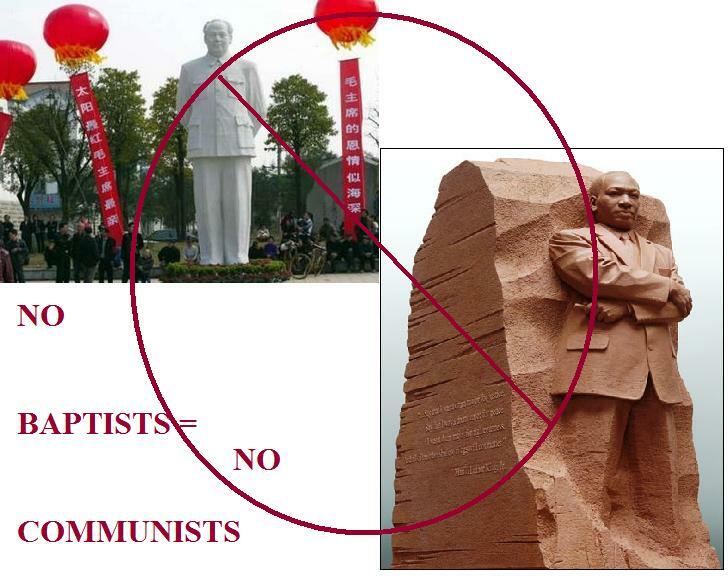 The project in honor of the American civil rights and Satanic Baptist figure was “outsourced” to Lei Yixin, a Chinese government-approved sculptor best known for creating edifices glorifying Mao Tse-Tung, father of Communist China and notorious mass-murderer. Martin Luther King, Jr. was a Baptist minister and Baptists are heretics with the soul-destroying disease, Baptici hereticus. Also Baptists have unbiblical and Semi-Pelagian church polity as Sharin’ Whiplash reminds Discernmentalists that Absolute Truth Biblical church polity is Presbyterian in nature—we who are God’s True Elect Know this. In this way, Martin Luther King, Jr. led many souls astray by spreading the disease Baptici hereticus—not only that he was a communist and socialist bent on destroying America. Martin Luther King, Jr. may have had a dream but that dream was for a socialist and communist America and that’s heresy. He also damned many souls to hell with his Commie Baptist ways. Tags:antichrists, Attack, can't you smell that smell?, GOIPView Weekend, Truth War, Ways of the Master Religion Discernmentalism, What Would Ronald Reagan Do?, wrath, Wretched, WWRRD? Yes that’s right and remember in the words of the famous Scientologist Discernmentalist Tom Cruise: “Psychiatrists and psycologists are worthless and only out to take your money and have an easy job. Psycology used to be called “the study of the soul” but now its not. 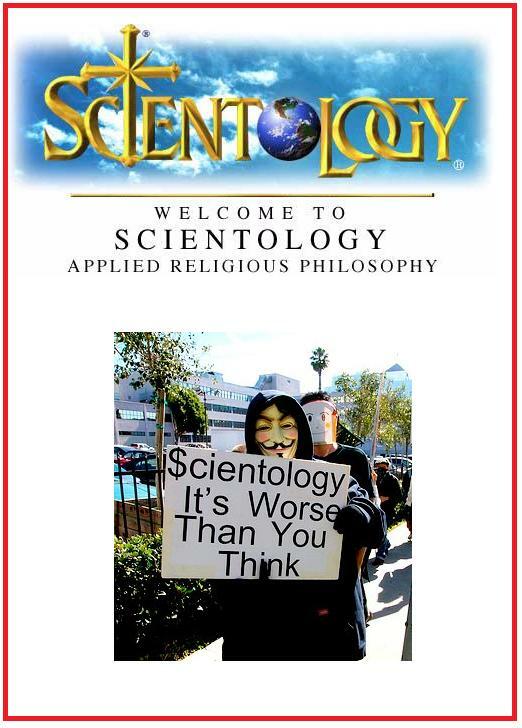 Only Scientology God is the answer for anyones emotional, mental problems because it comes from the soul. Secular psycology wont help.“—(MaharlikaAWA 4 days ago). 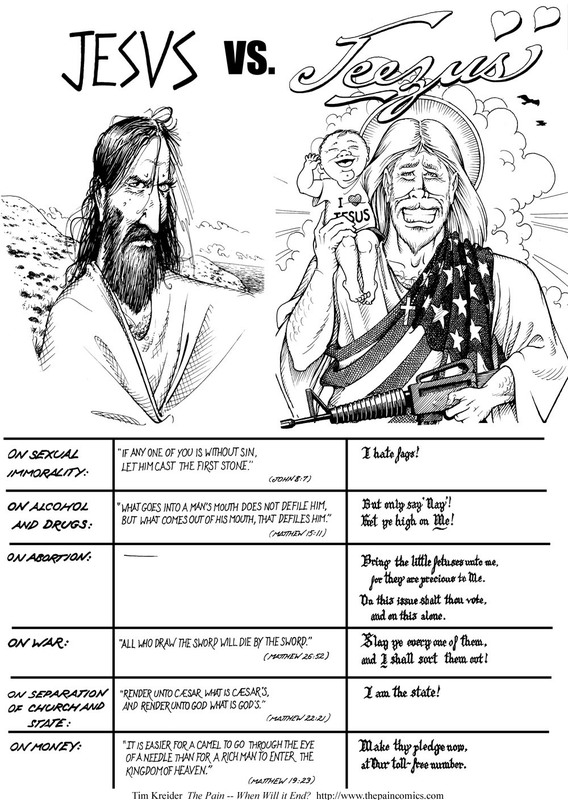 Item #1 on Brannon Howse’s New World Order Agenda plans for fellow Discernmentalists is to discernmentalize the following groups of people and their unbiblical *(note: anti-American) agendas: Marxists, Muslims, Mormons, Globalists, and Richard Land of the Southern Baptist Convention. 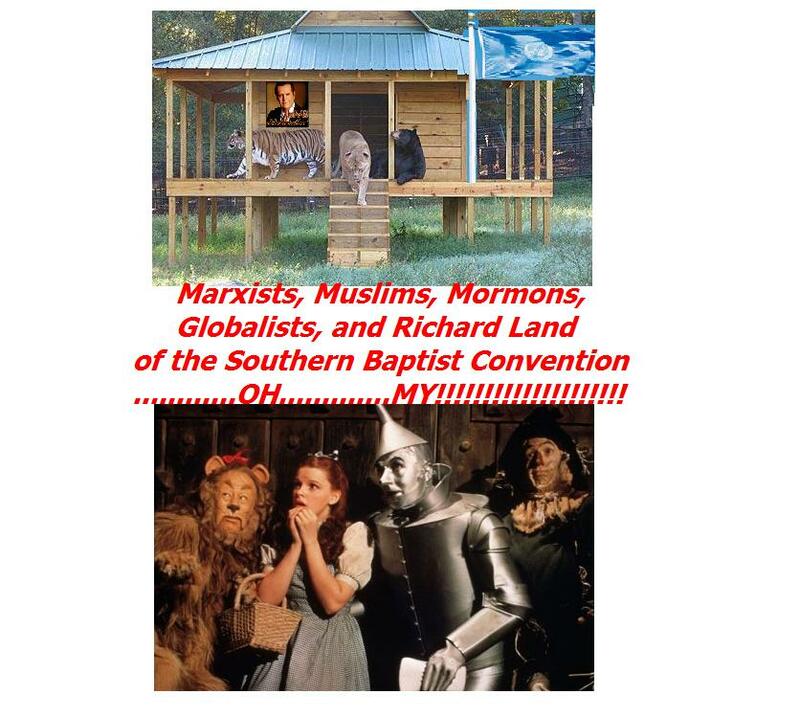 While there may be a few liberal “Christians” that applaud Land as he gives credibility to globalism, ecumenicalism, Mormonism, Neo-Marxism, amnesty and Islam; I know many conservative, Bible-believing Christians are eagerly waiting for a swift and Biblical response by SBC leaders to Mr. Land’s unbiblical and unequally yoked spiritual endeavors. I have had several SBC pastors express their concern to me about Mr. Land’s activities. In fact, many SBC pastors and members have requested this article so they might distribute it to other SBC pastors and members in hopes Land can be stopped from using his position, the SBC name, and SBC funds to give credibility to these radical causes. We all must now band together at once as people of different denominational and faith backgrounds in the tradition of Worldview Weekend to take a stand against Richard Land and his apostasy from Brannon Howse’s One World Fascist American Theocratic Agenda Absolute Biblical Truth and his treasonous behavior towards the American Gospel. Tags:antichrists, Attack, Foul Smell, GOIP Politics, GOIPView Weekend, Heresy Exposed, Homebrewed Theocracy, That awfully evil smelly smell, Ways of the Master Religion Discernmentalism, What Would Ronald Reagan Do?, wrath, Wretched, WWRRD? We must continue to stand firm in our Truth War ways. We mustn’t rest until as many people and people groups who don’t bow down to our Pure Doctrines are all slandered, libeled and lied about exposed to the Truth of the Purity of our Doctrines. This is the Truth War after all and we must use any means necessary to preach the Good News that God hates sinners so much and is so angry at them that He is threatening to pour down His Wrath upon anyone who doesn’t obey the Law of our Pure Doctrines at any moment just like the Ways of the Master John MacArthur himself does. the certainty that all impenitent “people who disagree with our beliefs” (under the elegant metaphor of “EVERYONE EXCEPT US” fueling the fires of God’s wrath) will inevitably go to Hell (e.g., Romans 1:18-32, 1 Corinthians 6:9-11, 1 Timothy 1:8-11, Jude 7, etc.). We Discernmentalists and Truth Warriors are the only true followers of God’s word! Everyone else WILL be damned to burn in eternal Hell fire! We do not need scripture to verify this statement. We have heard it from God himself! Repent! (everyone else but us) For you have sinned! You have been born different from us, and this is an abomination unto God for which your souls WILL be damned! And remember the Absolute Truth of our Pure Doctrines will save you! Just a short note asking for prayer, particularly if you’ve been blessed by this online apologetics and discernment work, and making you aware that the hard drive in the main computer at here at Apprising Ministries has crashed. Fortunately back problems had forced me to do much of my work from a laptop so the loss of materials/information was lessened. Since our email program went through that now defunct main computer we no longer have access to it so we’ve begun a new email account: apprisingministries@gmail.com. We remain thankful you have been standing with Apprising Ministries through these 5+ years, and thank you for your prayer, as well as financial support as well. O, and the blessing; well, we’re still waiting to see what the Lord has in store through this little bit of a test as we try and rebuild our database. 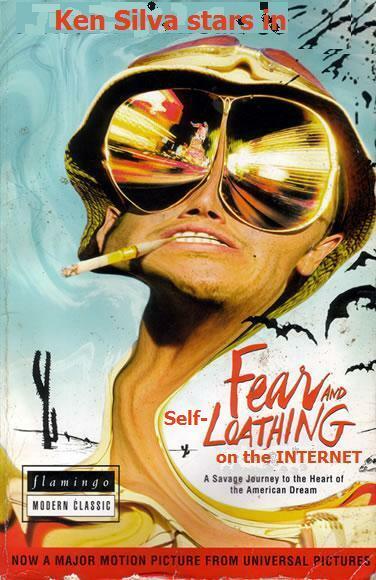 Fearing for the worse Ken soon discovers that the evil Frank Viola and equally evil Leonard Sweet caused his hard drive to crash through their spiritually corrupt practice of Contemplative/Centering Prayer. Our film ends with Ken pledging to put his fear and self-loathing to good use as he vows to take revenge against Contemplative/Centering Prayer and the “sinfully-ecumenical” Purpose-Driven and Contemplative-driven Emerging/Emergent Church and “po-mo Christian” sinners in general by using big TRUTH WARRIOR words such as “gutless crybaby,” “spineless” and “sissified jellyfish” even more than he did in the first film or does now. On a happier note Ken also reinstated his offer to make good on his vow to donate a “spine” and “Backbone” to any apostate heretic that would repent and believe upon the Pure and True Gospel of John MacArthur’s Truth Wars™ and Biblical American values such as capitalism and war so that this film could have a happier ending than the first one. These included the viewpoints: “that the magistrate ought not to punish offences against the First Table [of God’s Law]; that an oath ought not to be tendered to an unregenerate man; [and] that a regenerate man ought not to pray with the unregenerate, though it be his wife or child…. Clearly, it never dawned on Roger Williams that nobody had baptized John the baptizer. Yet it was John (and apparently by pouring or sprinkling) who baptized Jesus Christ. And it is the Latter’s baptism alone which gives validity to all Christian baptisms. 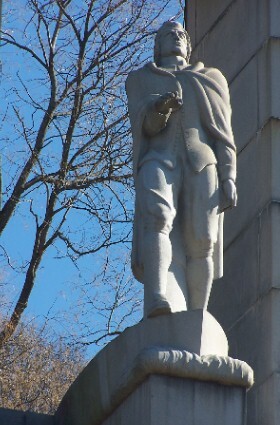 Incredibly, the apostate Roger Williams pleaded428 even for the complete toleration of Islam, Judaism and Paganism. He read Dutch well; knew of the political concepts of the Dutch Anabaptists; and accordingly rejected the British and American Puritans and their Christonomic Theocracy.429 Unfortunately, the Dutch (Ana)Baptistic heresies of Roger Williams have now massively corrupted especially the United States. 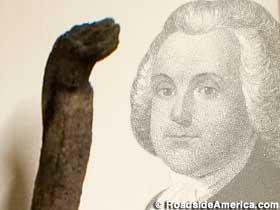 If that alone isn’t evidence enough that Roger Williams was clearly a heretical apostate then consider this: an apple tree root in the shape of a Serpent ate his corpse. Coincidence—we think not! 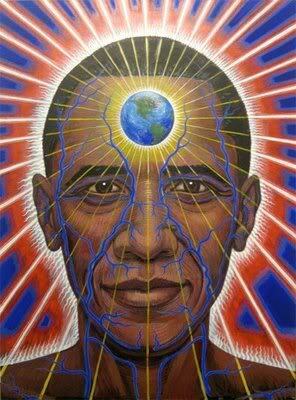 President-Elect Barack Obama and his Liberal, Socialist Democratic Party are facilitators of the New World Order, a Luciferic Theocracy being promoted by The UNITED NATIONS, which is Anti-Israel and seeks the Disarmament of America and the restriction of many of our rights. Beyond the wickedness that Obama and his Democrats have planned for America (A VIRTUAL POLICE STATE), Obama will turn against Israel as his U.N. based foreign policy favors Muslim Terrorists such as Hamas. OBAMA in power will force ISRAEL to attack Iran’s nuclear weapons program (2009-2010 AD) triggering waves of terror attacks against USA and the west, the collapse of the USA stock market- leading to the FIRST OF TWO RAPTURES and the Start of The Tribulation. Remember to let us do the thinking for you—so spread the fear and hate, because we told you so. Tags:2012 Bible Prophecy, antichrists, Attack, GOIP Media, Newsworthy, Online Discernmentalist Mafia, Plagues, Smell that smell, That awfully evil smelly smell, Ways of the Master Religion Discernmentalism, What Would Ronald Reagan Do?, wrath, Wretched, WWRRD? 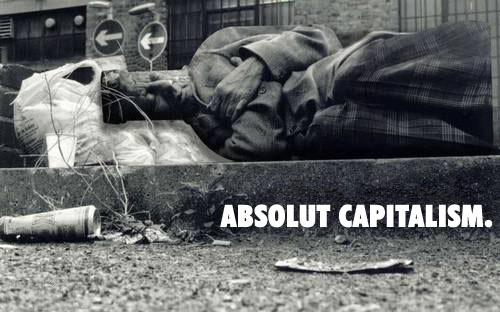 Chavez and Castro? Perhaps Pat Robertson was not so far off. Haiti has indeed made a pact with the devil—incarnate in the political style of Chavez and Castro. Clearly this is why Haiti had to be destroyed by God’s Wrath. We Know so. 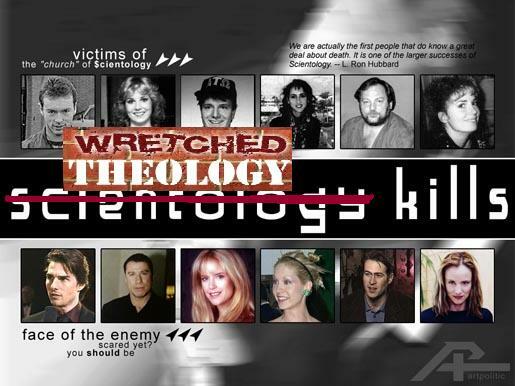 Tags:American Vision, Homebrewed Theocracy, Online Discernmentalist Mafia, Ways of the Master Religion Discernmentalism, What Would Ronald Reagan Do?, wrath, Wretched, WWRRD? All Theological Roads Lead Back To Rome? Anabaptists, Reformed/Presbyterians, Lutherans, and Anglicans are 4 separate branches with separate traditions. All four branches are Reformed from Roman Catholicism in the broad sense of the term. Clearly she might be one of the unregenerate reprobates decieved into believing that she is Truly Elect or Secured in her Reprobation for as we know Calvinism has nothing to do with “Roman Arminianism or Roman Catholicism that man-exalting heresy!” And we don’t exalt man especially not Calvin—We Know! Why—because We told ya so! Or maybe Sharin’ has contracted the same Postmodern and Emergence virus that Ken Silva has contracted? WHO IS RESPONSIBLE FOR UNLEASHING THE EMERGING CHURCH VIRUS EMBED CODE? God from all eternity, did, by the most wise and holy counsel of His own will, freely, and unchangeably ordain whatsoever comes to pass yet so, as thereby neither is God the author of sin, nor is violence offered to the will of the creatures; nor is the liberty or contingency of second causes taken away, but rather established. That means that God is responsible and the One who caused from the Foundation of the World the UNLEASHING of THE EMERGING CHURCH VIRUS which Ken Silva contracted. We all are now praying for Ken Silva to be healed and get well from such a dark and reprobated illness so that he can return to his ole Deformed Purely Reformed, Emergent-bashing and Discernmentalist self. John MacArthur Speaks All Truth! We’re Not Homophobes: No Really We’re Not! Happy Non-Pagan Easter Reprobates: Now Burn In Hell! 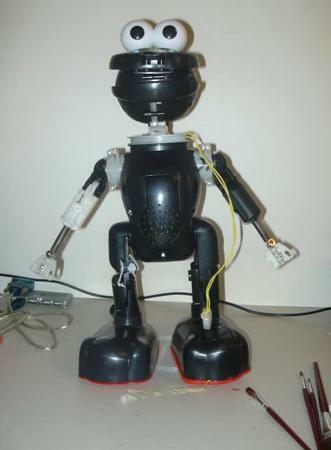 Pope Pyro the First says: "Education Smeducation!" We're Not Homophobes: No Really We're Not!